If you're a fan of athleisure, sportswear, or just a fan of comfortable clothing in general, then the growing popularity of track pants may be music to your ears. 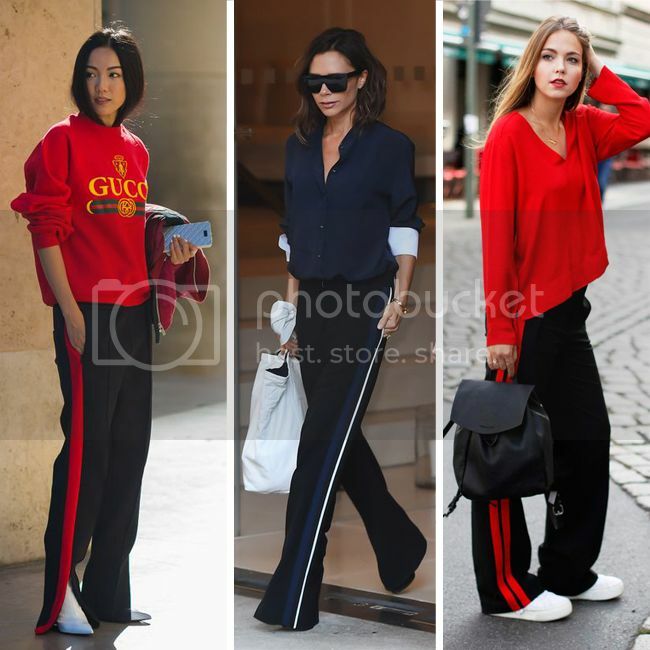 Consider the side-striped track pant (often designed with vented hemlines or a wide-leg silhouette) to be the new jogger pant. Equally as laid back as jogger pants, the new versions of track pants prove that comfort and cuteness aren't mutually exclusive. These are no longer the pants you may have worn to team practice, the gym, or on weekends. When worn with heels and a crisp button-front blouse, they can be downright polished and chic. 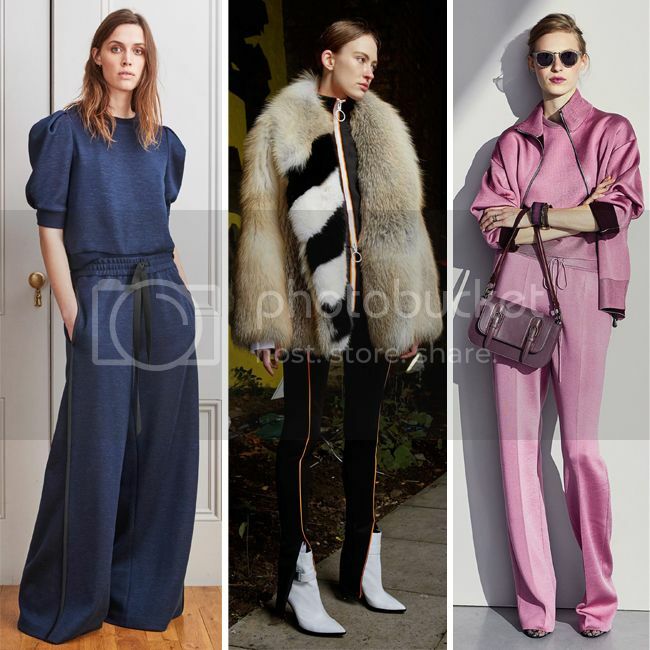 For spring 2016, designer Clare Waight Keller at Chloé showed rainbow striped track pants with romantic blouses, an unlikely but intriguing combination. Givenchy, Off-White, Gucci, and Vetements are also in on the trend with tailored and logo-embellished styles. How to wear them? For a more professional look, choose details such as pintucking, structured fabrics, and front zip closures. For a casual street-savvy vibe, pair them with sneakers, a relaxed sweater/sweatshirt, a moto jacket, or a sleek backpack. I love these black and white track pants (under $70) with chic white Adidas sneakers, a bell-sleeved blouse, and an eye-catching embroidered moto jacket. I recently got these track pants at JCPenney under $20, and I look forward to wearing them with bomber jackets, ruffled blouses, and sneakers as spring approaches.